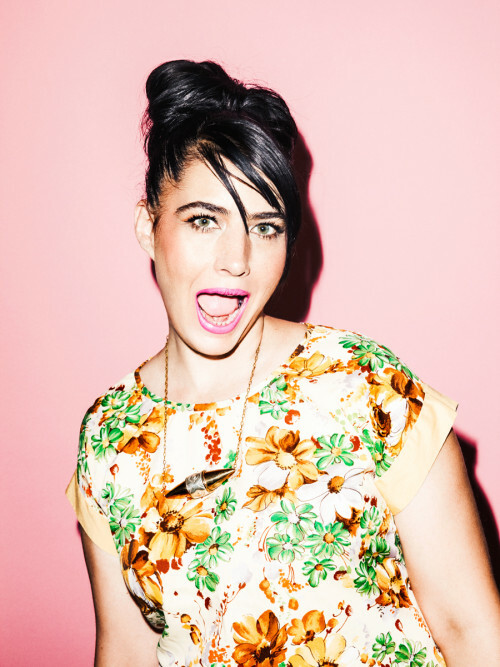 We have so much love for singer and Riot Grrrl revolutionary Kathleen Hanna. 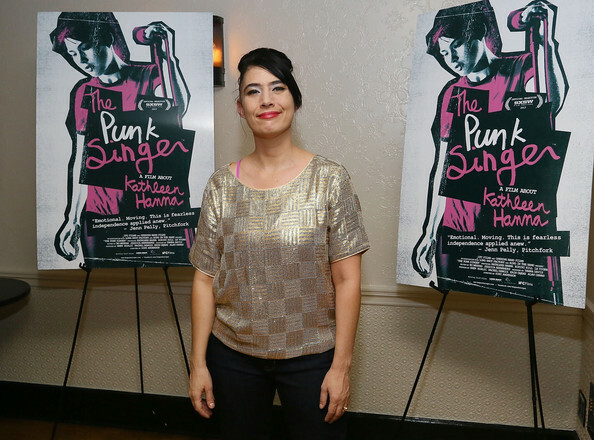 For those not so familiar with her music in Bikini Kill, Le Tigre or The Julie Ruin, we urge you to watch ‘The Punk Singer’ documentary on Netflix, it is one of the most important films explaining the explosion of feminism through music in the 1990s, and how it gave a voice to a whole generation of girls who didn’t feel like they fit in in mainstream culture. The Riot Grrrl movement was so instrumental that it’s not uncommon to hear musicians and artists today talk about how it influenced their creativity and passion. And just because it happened in the 1990s doesn’t mean it is over, by the way. We are seeing a new and intense wave of feminism happening in the mainstream buoyed by the internet and social media. What is also helping the cause of feminism in this age are the steady stream of celebrity spokespeople. Being a celebrity today means a custom built platform of influence, and for certain celebs who use that for positive messages, it is a very powerful thing. 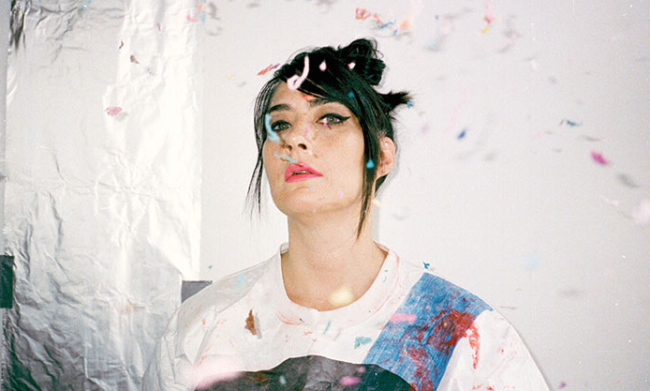 In a recent interview with Rolling Stone magazine, Kathleen Hanna and Bikini Kill bandmate Kathi Wilcox talked about the legacy of Riot Grrrl, and shared her opinion on the pop stars of today. “I definitely think feminism is more relevant than ever, and riot grrrl was an offshoot of feminism that was independent, punk rock, DIY. But I don’t like the idea of it being fetishized or historicized in a way that leaves out the flaws. I don’t like the idea of having the same mistakes repeated,” said Kathleen on feminism today. The Rolling Stone journalist then asked the two their opinion on the feminists of today such as Beyonce and Taylor Swift who are not only UBER popular in mainstream (the opposite of the Riot Grrrl movement) but also speak loudly and proudly of the need for gender equality and feminism. We should point out that this question seems a little like baiting. It’s certainly an issue we have with the way the media portrays women, it’s as if they are looking for a way to divide them. We should’ve reached a point in our society where we understand there is not just one definition of feminism, nor is there only one archetype. Instead of trying to pit women and feminists against each other, it should be more about support, which is why we loved the answer Kathleen gave Rolling Stone. “It’s totally amazing. I remember back in the Nineties being like, ‘We’re being commodified’ so I understand people being like, ‘We don’t want feminism to become this fashion that has nothing behind it.’ But I’m not really worried about that. When somebody that’s a huge megastar that has so many young fans, like Taylor Swift or Miley Cyrus or Beyoncé, comes out and says, ‘I’m a feminist,’ I mean, that’s the sound of hundreds of thousands of girls typing the word into the Internet,” she explains. YES girl! “I found punk through this late-night TV show called ‘Night Flight’ that was on in the Eighties. I wasn’t in a punk-rock scene; I listened to Lynryd Skynryd and stuff, so the way I found punk was through the mainstream. And just because they’re pop stars doesn’t mean they’re not human beings, you know? They’re using their notoriety to do something, and that’s awesome,” she continued. People like Beyonce and especially Miley Cyrus, have often been considered controversial figures, and because of their elevated platform, everything they say and do is open to scrutiny from all angles. This is something Kathleen Hanna is familiar with, as she explained in an interview with SPIN magazine in 2013. “We put ourselves out to be criticized, and I hope that people criticized things that I said, because it’s all about the exchange. Again, it’s not about being perfect, it’s about opening the conversation,” she said. Thank you Kathleen for being an instrument of continuity and understanding, rather than division! We need to see more feminists band together advocating the different ways the movement has helped different groups of people. Intersectionality has become a huge part of modern feminism, and it is important we respect all versions of it.